This is just a really handsome colt with a lot of chrome and flash to him. He has dark color and pigment around each blue eye which gives him a very dramatic face without hurting ihis vision or health. 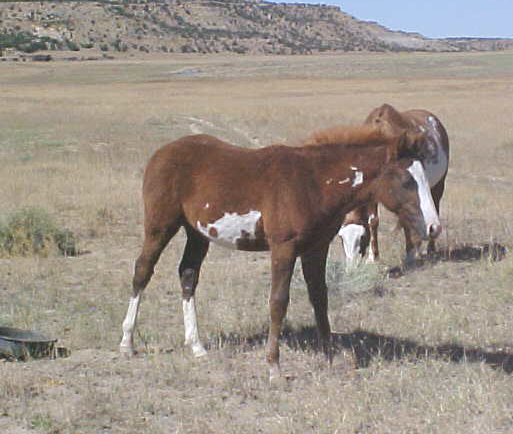 You can easily see his pinto markings without having to keep much white clean, and his white stockings just top off his picture. I expect him to be about 15 hands at matruity. He has a nice quiet attitude and is not bossy around the other weanlings. 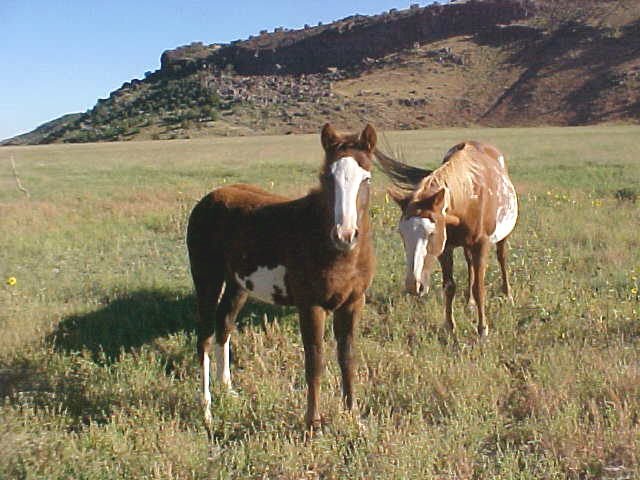 His sire is Kellys Easter Jet and his dam is Fancy (pinto mare_ so he cannot be registered as a Paint horse.) He is very athletic and could be roped off of or penned off of.